Winner poker is a poker room which operates in IPoker network for more than 10 years. It is one of the few rooms which doesn’t relate to any European sportsbooks. The main source of weak players in it as well as in Iron Poker is people who came here for casino games. The room has loyal attitude towards affiliates and provides with high percentage of rake returns. It is licensed on the isle of Malta. Winner poker is the part of IPoker network and has traffic, which allows being in TOP-10 of world poker rooms and network. The game currency is euro, there are no tables in other currencies. Maximal traffic is in evening Western European time and in Friday to Sunday. The most popular cash games format is short tables on NL Holdem. There are no more than one or two full-ring tables at each stake limit even during peak hours. Naturally, the most popular are the tables at small stakes up to NL10 included. There are 20-25 tables at each stakes limit. The middle stakes- NL25, NL50, NL100 – have up to 10-15 tables at each stakes limit. The higher stakes up to NL1000 provide with ten or so tables total. Much less popular in Winner Poker, but still having enough traffic for regular play are Omaha and Holdem 6+. PLO has a rather smooth distribution of tables over the stakes limit, but the lower ones have the most table. However, the difference is not that big in comparison with Holdem. There are no more than five tables per stakes limit usually. This number varies both ways at certain stakes. There are two or three tables at two of the highest stakes of PLO400-600. IPoker network is now the only one with a real traffic in Holdem 6+. 5 stakes limits are presented up to NL100 included. The discipline is new, there are no strategies worked out and the rules of it induce loose-aggressive play so the field is weak in it. Low stakes of Holdem 6+ are presented with 5-7 tables while the highest stakes have 2-3 tables in the evenings. Many of those who prefer this discipline play at all stakes. Also IPoker network and Winner Poker in particular, unlike many other rooms has traffic at different stakes of fast poker – Speed Poker. NL5 and NL20 have about 100 and more connections and there are times when NL20 has more players than the lower stakes. NL10 usually doesn’t have many connection even during peak hours, as well as NL50 and NL100. HU tables aren’t very popular as well. Middle and High stakes are usually occupied by the same regulars who are waiting for amateurs. One is able to open no more than 4 tables at once waiting for the opponent. SnG tournaments in Winner Poker have become a depressive discipline a long time ago despite a wide variety of formats and stakes – game is rare at 10 euro buy-in games and higher and there are few tables even at the lower stakes, people mostly play DoN tournaments. All the traffic in this discipline is in lottery Twister SnGs which are presented with 4 stakes limits of 1 to 50 euros. Tournament schedule in Winner Poker suffered drastic changes in the end of Summer 2016 – 1R1A were eliminated, the sizes of starting stacks were increased and the blind structure became quicker, there are almost no freezeouts. Main tournaments in the room are ; daily: €10.000 Championship with the buy-in of €50, €5.000 Grand Master with the buy-in of €300, €3.000 Warm-Up with the buy-in of €50, €3.000 Money Time with the buy-in of €50, €2.000 Night Club with the buy-in of €50, and €30.000 Sunday Premium with the buy-in of €50. The field is very weak and there are usually no more than 200-300 people in the tournaments. Winner poker transferred to the new poker client by the company Playtech. Its major distinctions from the old ones are in a more compact size, higher brightness and colorfulness and also the main lobby is now full of ad banners of the poker room and preferred kinds of games (the client memorizes the games you play more often). There is still casino in the client. Winner Poker client is made in black and white colors. The filter system didn’t change much and is still rather deep with the opportunity to save your settings. There re standard options of auto rebuy, time back, bet sizing options. The absence of waiting lists is now official, however unlike in many rooms, one is able to see the list of players at the tables. Table settings are limited to 2 types of decks and tables and several types of cards. In order to have some additional options to change the layout of the client one needs IPoker Tools, which also allows setting hot keys, count stacks in BB, have a special HUD e.t.c. Trackers are supported with the only limitation of having only one HUD to the first opened table in fast poker. Since February 1, 2015 IPoker network uses new system of rake called Source Based Rake (SBR) – it considers recreation level of the player. The players are divided into winning, about-zero and losing ones according to the ratio deposits/cash outs ratio for a certain period of time. 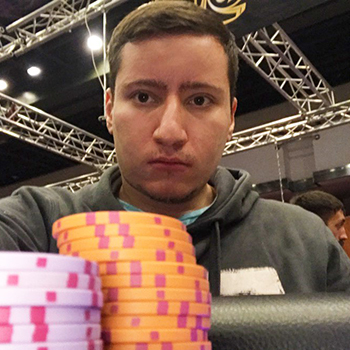 Half of the rake of any pot is shared according to the group the player belongs to with amateur players (those who make deposits and rarely cashing money out) – the losing ones - getting advantage in crediting rake. Winning regulars lose up to half of the additional to default rake. Micro stakes at Winner Poker have the highest rake percentage among the European rooms with common access of 6.67% with cap of €0.50-2 (up to NL 10 included). At the higher stakes the rake is standard – 5% with cap of €2-4 (rather high as well). All MTTs have the rake of 10% and rebuys and add-ons are raked as well. SnG tournaments have rake of 10%, Heads Up SnG - 6%. Super turbo variations have 8.5% and 4% rake respectively. Twisters have one of the highest rake among lottery SnGs of 7%. If you chose PokerProDeals as your affiliate to the poker room, you will have an opportunity to receive up to 70% rakeback without participating in VIP system of the poker room and first deposit bonus promotion. Contact us in order to know the terms of receiving this rakeback. How to register in Winner Poker?